Dr. Dana Morris Dixon was appointed Assistant General Manager/Chief Marketing and Business Development Officer for The Jamaica National Group Limited in April 2018. As head of two of the major units within the Group, Dr. Morris Dixon is charged with developing and guiding the overall marketing and advertising strategy of the Group, as well as its individual subsidiaries, in addition to identifying and exploring new business opportunities. She is also responsible for the development and promotion of the Group’s thought leadership agenda with a view to enriching the lives of its members and propelling innovation. She also serves as the chief research officer, developing and driving the use of research for the expansion of new opportunities as well as the development of existing lines of business. Dr. Morris Dixon joined The Jamaica National Group Limited (then Jamaica National Building Society) as Executive, Business Development and Research (now Business Advisory Services), in June 2013. Starting in 2014, she led the Business Transformation Project to ensure the successful reorganisation of The Jamaica National Group, as well as the conversion of the Society to a commercial bank. Dr. Morris Dixon previously worked at the Jamaica Promotions Corporation (JAMPRO), in various capacities including as Acting President in March 2013. She joined JAMPRO as Manager, Caribbean, Latin America & Emerging Markets Department, on secondment from the Office of the Prime Minister in 2009 and was appointed Vice President, Planning & Corporate Development in April 2010. She played an integral role in managing the National Competitiveness Council, and was a significant part of the project management team for signature events such as the Jamaica Investment Forum (2012) and Jamaica House at the London 2012 Olympics. Prior to joining JAMPRO, Dr. Morris Dixon was the Director of Development Policy, Planning and Strategy at the Office of the Prime Minister. She is also a former lecturer at The University of the West Indies, Mona where she taught both undergraduate and graduate courses. 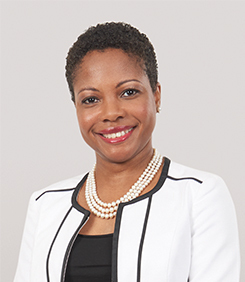 She is a Fulbright Scholar and has served as a board member: International Women’s Forum (Jamaica), National Land Agency, Runaway Bay Development Company Limited, Grand Jamaica Homecoming Advisory Council and the Jamaica Fulbright-Humphrey Alumni Association. Dr. Morris Dixon is currently Chairperson of Jamaica’s National Family Planning Board, as well as Deputy Chairperson of the National Health Fund.